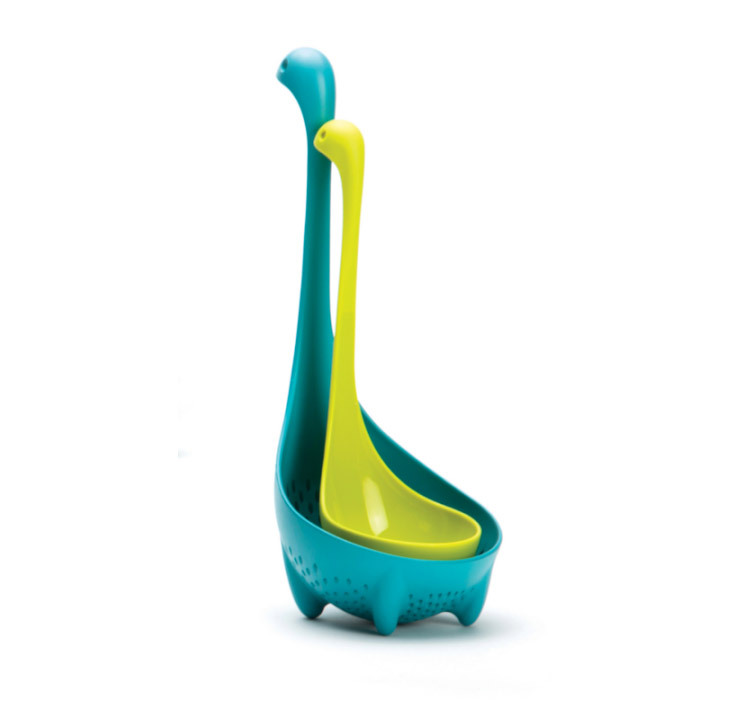 With the great success of the Nessie Ladle that we featured a few months ago, OTOTO, the maker of the Nessie ladle has come out with the Nessie Colander Spoon. 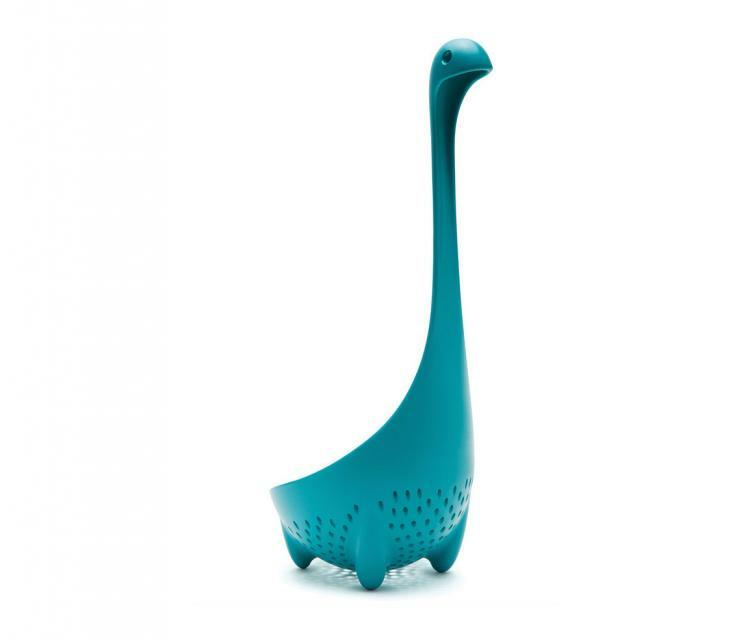 The Nessie Colander Spoon is essentially a bigger version of the ladle that acts as a colander and of course features our favorite little character, Nessie the loch ness monster. 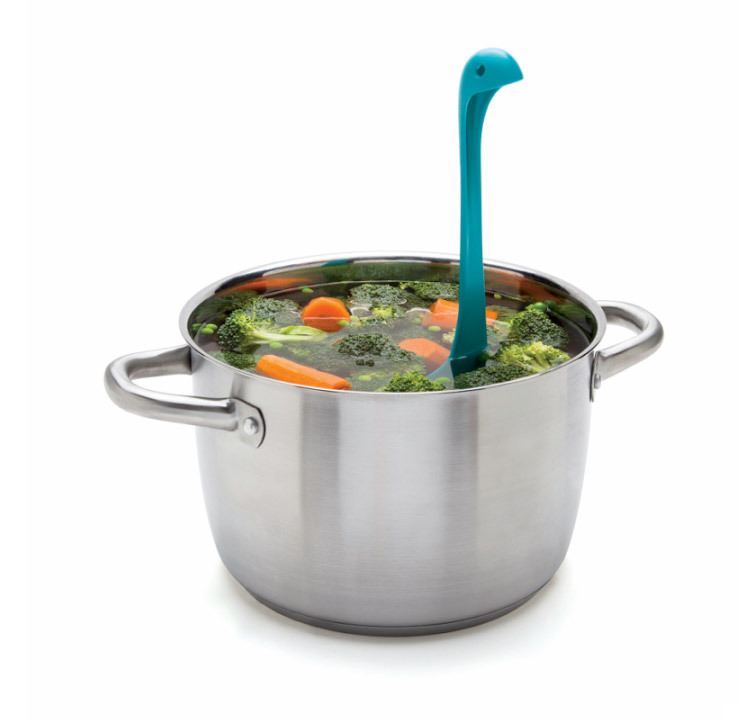 The Loch Ness Colander has the same effect the ladle has in which when you set it in your pot the neck and head protrudes out to look just like that old black and white Loch Ness Monster photo from Scotland. 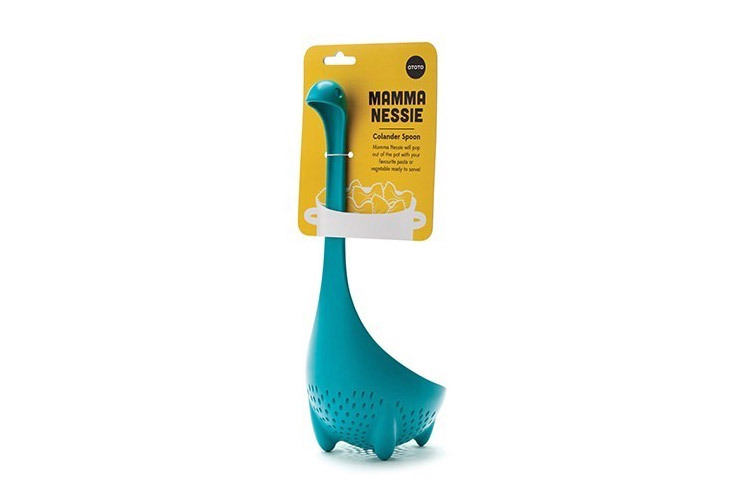 Plus the colander spoon once again features 4 little legs that keep her upright so she won't tip over and won't make a mess on your counter when you set it down. 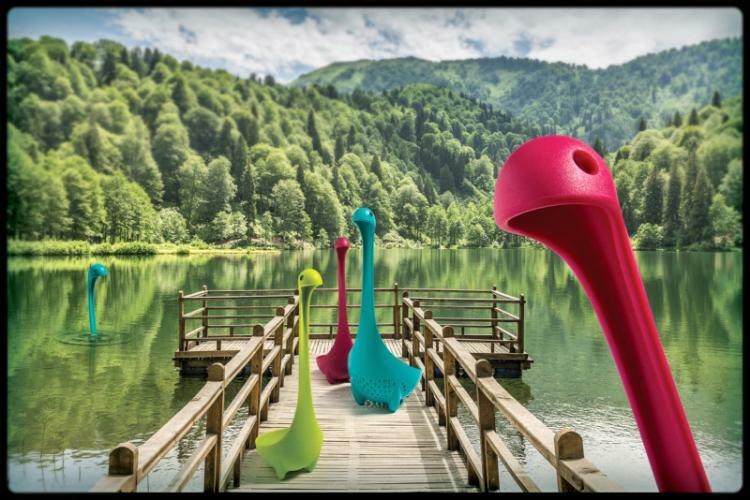 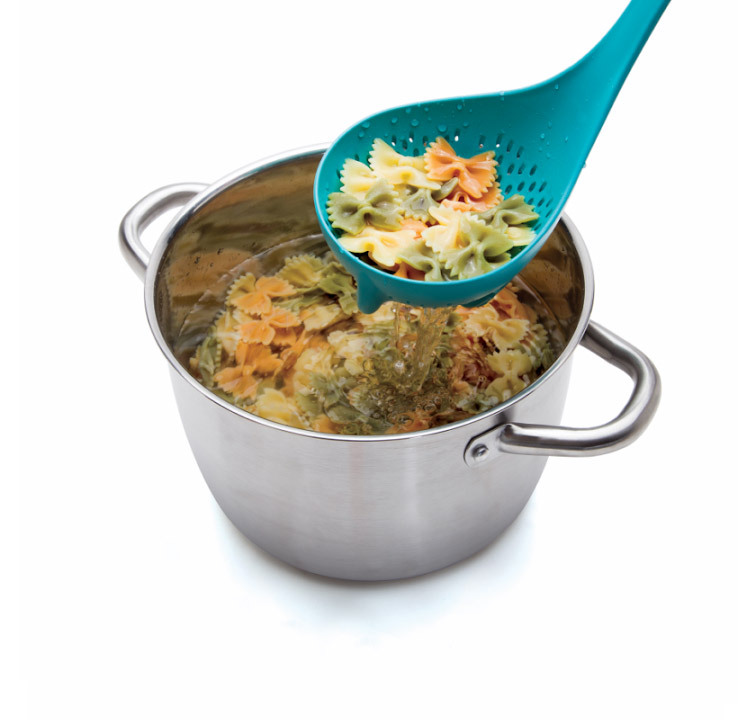 Designed and created by OTOTO, a product design company based out of Israel, the Mamma Nessie Loch Ness Monster colander spoon is one more addition in a hopefully long line of Nessie cookware. 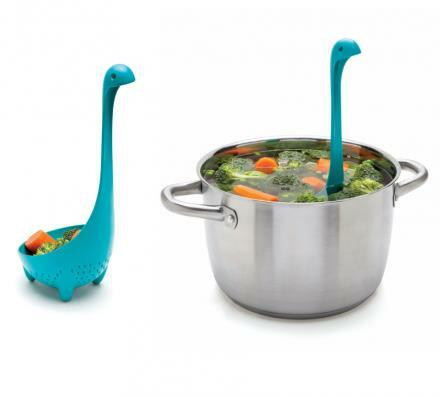 If I had it my way, all I would use in the kitchen is Nessie bowls, Nessie spoons, and Nessie everything! 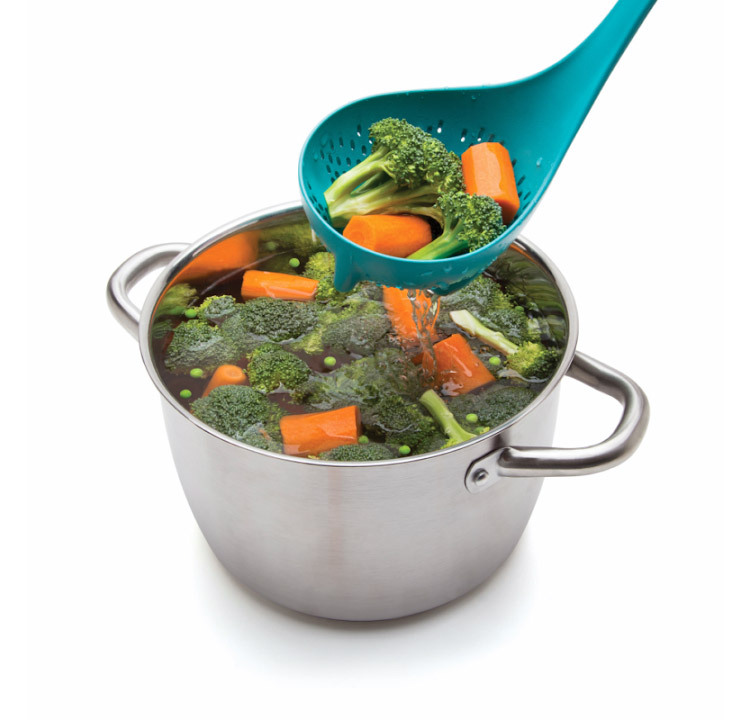 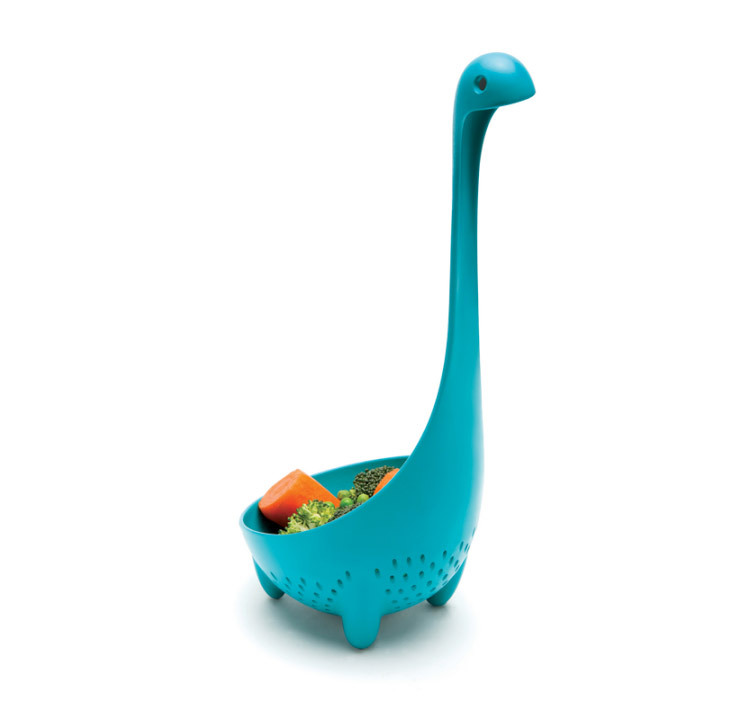 The Nessie Colander Spoon is made from BPA free toughened nylon, and measures just slightly larger than the Nessie Ladle at 11.4 inches tall x 4.7 inches wide x 4.3 inches deep. 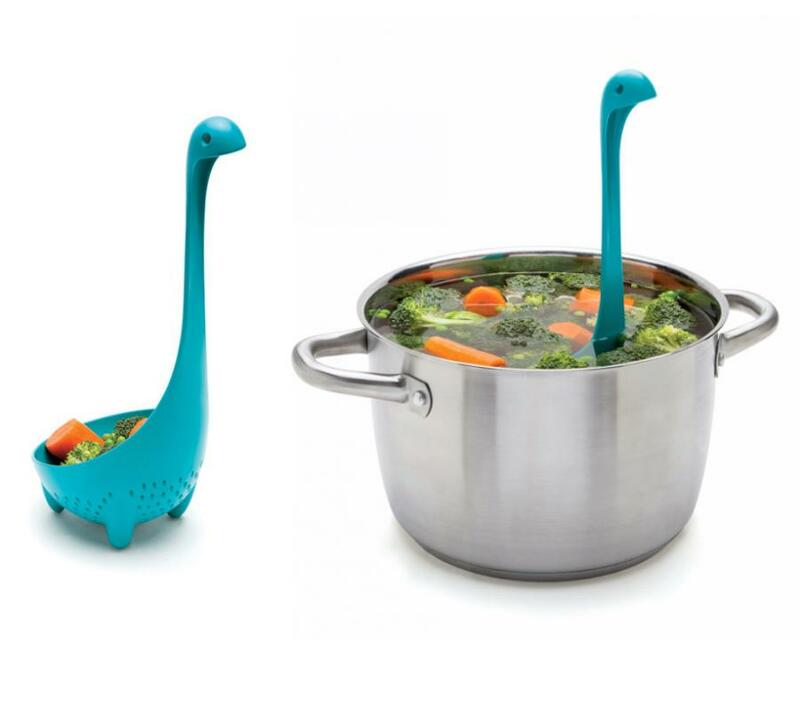 In fact, if you also have the Loch Ness Ladle you can fit it right inside the Loch Ness colander spoon to store them away and save some room.